For the past 31 years, the Children’s Literature Conference at Shenandoah University has been striving to share with teachers and librarians the best that children’s literature has to offer. 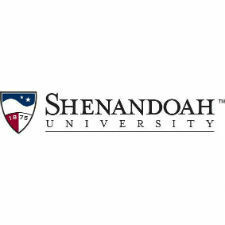 This year, the conference will be held Monday, June 20, through Friday, June 24, on the campus of Shenandoah University. The theme of the 2016 conference is “Words and Pictures: The Art of the Matter,” which will immerse attendees in the beauty of pairing words and pictures. Throughout the week, participants will study with award-winning, best-selling authors and illustrators, including Matt de la Peña (2016 Newbery winner “Last Stop on Market Street”), Eric Litwin (the “Pete the Cat” series), Adam Rubin (“Dragons Love Tacos”), Peter Sís (“Starry Messenger: Galileo Galilei”), E. B. Lewis (Caldecott Honor for “Coming on Home Soon” illustrations), Sara Pennypacker (the “Clementine” series), Daniel Salmieri (“Meet the Dullards” illustrator), Jarrett Krosoczka (“Lunch Lady” and “Platypus Police Squad” series), Greg Pizzoli (“The Watermelon Seed”), Christian Robinson (“Last Stop on Market Street” illustrator), Pam Muñoz Ryan (“Echo,” “Esperanza Rising”), Wendelin Van Draanen (“Sammy Keyes and the Hotel Thief”), Pat Mora (“Book Fiesta!”) and Matt Tavares (“Growing Up Pedro”). Each morning, authors and illustrators will offer presentations, vividly sharing stories about their work. In the afternoons, participants will be given the choice of attending small group workshops, roundtable discussions with the authors and illustrators, and classes on how to use literature to teach reading and writing. The guest speakers’ books are sold daily, with signing opportunities in the afternoon. Participants who attend the conference may elect to earn up to three hours of graduate or undergraduate credit. To enroll in the conference, visit su.edu/childrenslit, email infoclc@su.edu or call 540/545-7215. Registration form and payment are due by Friday, June 17. In conjunction with the conference, two events will be held which are free and open to the public. Special thanks to the Claude Moore Charitable Foundation for their support of the conference and these community events. Eric Litwin is a guitar-strumming, book-writing, harmonica-blowing, song-singing guy. He is the # 1 New York Times Best-Selling author of the first four Pete the Cat picture books (“Pete the Cat: I Love My White Shoes,” “Pete the Cat: Rocking in My School Shoes,” “Pete the Cat and His Four Groovy Buttons,” and “Pete the Cat Saves Christmas”) and the author of the new musical series “The Nuts.” Litwin’s books have sold more than 1.5 million copies, been translated into seven languages and won 15 state and national awards including a Theodor Geisel Seuss Honor Award. He has also recorded award-winning music CDs. Litwin is a popular performing artist who plays guitar, sings, tells musical stories and brings books to life. Jarrett Krosockza, author of the popular graphic novels in the “Lunch Lady” series will participate in Handley Regional Library’s Family Fun Night, which begins at 6:30 p.m. with special guests and a performance on the library steps. Attendees will have a chance to meet and hear from Krosoczka at 7 p.m. that evening. Perseverance, optimism and above all a talent for visual storytelling are traits that have benefitted Krosoczka in his pursuit to become the award-winning author-illustrator he is today. All 33 books Krosoczka has created in just 15 years as a published author-illustrator are infused with humor, heart and a respect for his readers. It’s these qualities too that attract his young readers (and listeners) to his books, from “Punk Farm” to “Platypus Police Squad,” and make them all perennial favorites on the bookshelves of homes, libraries and bookstores. Inspired by the connections his “Lunch Lady” graphic novels made on his school visits, Krosoczka founded School Lunch Hero Day, a national campaign that celebrates school lunch staff. He also launched Platypus Police Reading Squad, a program wherein police officers read aloud to children in schools and libraries.